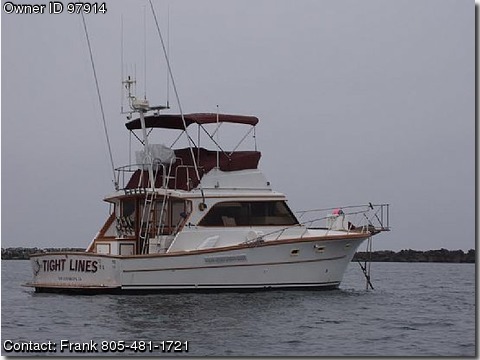 Please contact boat owner Frank at 805-481-1721. Lots of rod holders. 3 bait tanks, 2 televisions, 2 refrigerators, trash compactor, stove, microwave. Diesel generator, Radar, 2 GPS's, 3 VHF's, New Flybridge Canvas.